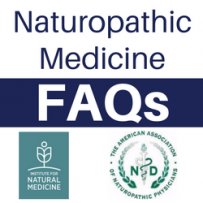 Associate Professor and Katie Stage, ND, RH (AHG), Southwest College of Naturopathic Medicine Division Director of Therapeutics for their contributions to the content of this FAQ. Individual behavior is one of the most important influencers of your health. Your lifestyle and the conditions in which you grow up, live, work, and age shape your well being. In addition to diet, exercise, and other lifestyle behaviors, social, economic and cultural factors are often at the root of preventable chronic disease. In fact, up to 70 percent of primary care visits are driven by psychological and/or social factors. But too often primary care providers do not spend enough time addressing these issues. Licensed naturopathic doctors (NDs), who are trained to treat the whole person, take the time to address multiple causes of health concerns. Appointments are guided by the Therapeutic Order, a natural approach to therapeutic intervention used to help discover and evaluate multiple obstacles to healing, including social, cultural, cognitive, environmental, emotional, and other factors impacting your health. During medical school, NDs complete an average of 150 classroom hours of behavioral medicine education. Because of their rigorous training, naturopathic doctors go far beyond treating physical symptoms; they help patients understand and address the underlying social, emotional, and psychological patterns that influence health. Naturopathic doctors are trained to utilize a broad range of therapies including dietary and lifestyle interventions, stress reduction, psychotherapy, and counseling. They have the knowledge and experience to empower patients to make and sustain lifestyle changes that improve health and lower healthcare costs. When you see a naturopathic doctor, they will take the time to understand your concerns and symptoms in the context of your lifestyle, behavior, and social-cultural environment. By examining the details of your diet, stress level, sleep, physical activity and more, they aim to identify the underlying causes of your health concerns. Naturopathic doctors engage patients step-by-step to make lifestyle and behavior changes, and they empower them to sustain these changes. This kind of empowerment leads to greater patient satisfaction, better health outcomes, and lower costs. NDs are also trained to recognize when you need more specialized mental health care, and will collaborate with and refer to mental health specialists when appropriate. ← Why Are a Growing Number of Medical Doctors (MDs) Working Collaboratively with Naturopathic Doctors (NDs)?